Six South Korean nationals who were taken into Police custody were released last night. They returned overnight to Grace Road Group headquarters in Navua after their release at about 7pm. Daniel Kim (aka Jung Yong Kim) is the son of Grace Road Group founder, Reverend Shin Ok-ju. He was among the six detained. Six South Korean nationals who were taken into Police custody were released last night. 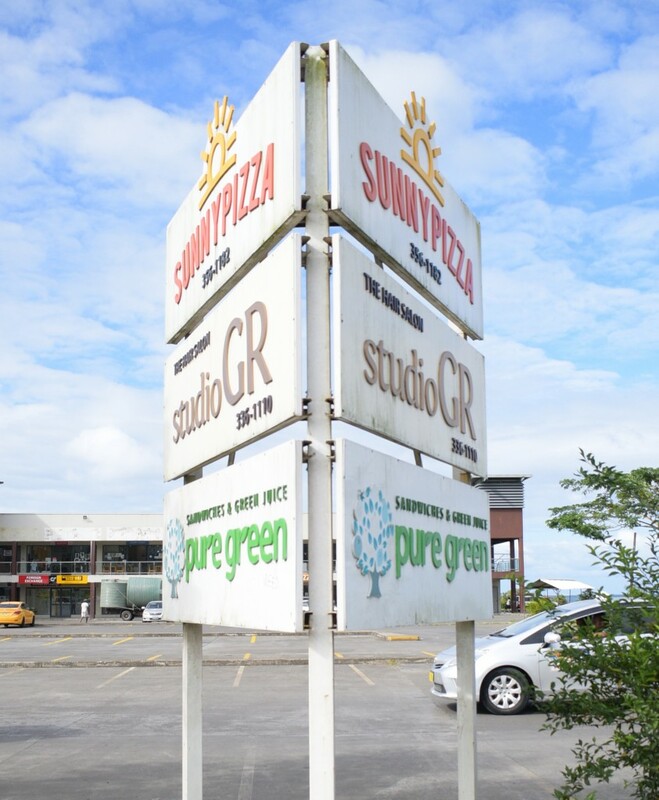 They returned overnight to Grace Road Group headquarters in Navua after their release at about 7pm. The Grace Road Kitchen at Harbour Point in Lami . Photo: Ronald Kumar. Despite their release, the six are expected to appear at the Lautoka High Court today because their lawyers had filed an application seeking an interim stay on any possible deportation. The High Court in Lautoka on Wednesday had granted an interim order against the removal of three. Yesterday, another interim order was given for the second three who were arrested later. The interim order was granted yesterday afternoon by Justice Mohammed Ajmeer after an application was filed by Gordon and Company lawyers Wasu Pillay and Ronald Gordon. 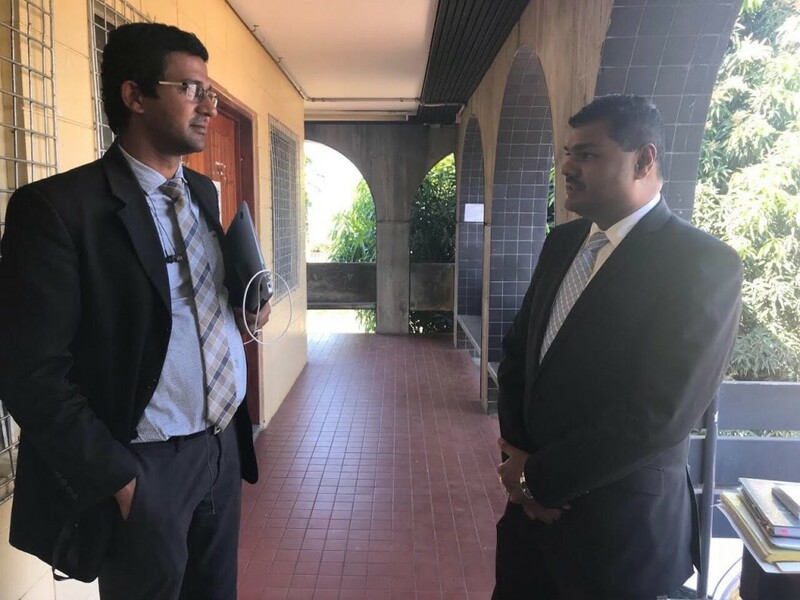 Lawyers Wasu Pillay and Ronald Gordon of Gordon and Company outside the High Court in Lautoka. The three Korean nationals have been identified as shareholders of Grace Road Group – Byeongjoon Lee, Chul Na and a woman Jin Sook Yoon. 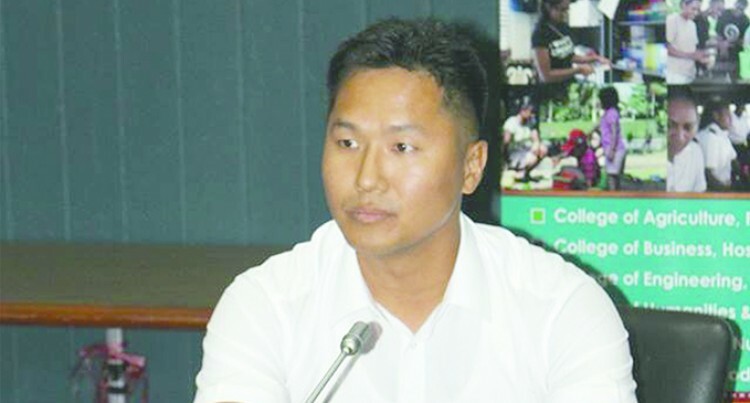 This is in addition to the interim order granted on Wednesday by Judge Justice Anare Tuilevuka to stop the removal of Jung Yong Kim, who is the son of Grace Road Group founder Shin Ok Joo, Beomseop Shin and Sung Jin, from Fiji. Korean national Ah Rum Song, whose occupation in court documents has been revealed as Director/shareholder, filed in an affidavit to support the application for interim injunction. Lee arrived into the country because his wife, Seongkyoung Kim, has a permit to reside and work in Fiji until September 24 2018. Because his wife had a work visa for Fiji, Lee too was given a permit to reside with his wife in Fiji until September 24, 2018. Na was issued a permit to work and reside in Fiji until November 19, 2018. Yoon entered Fiji on a visitor’s visa and remained in Fiji while her application for an investor permit was being processed. The affidavit claimed that the six were taken into custody with the intention of being deported to Korea on a Korean Airlines flight today, departing Fiji at 10am. However, with their release, it can be stated that this will no longer be the case. All six South Korean nationals were taken into custody by Fijian Police. Kim, Shin and Jin were taken into custody after Police raided Grace Road properties on Tuesday while Lee, Na and Yoon were turned in by employees of Grace Road Group. This was confirmed by Director of Immigration Nemani Vuniwaqa. The interim order granted yesterday was similar to one granted on Wednesday whereby agents, officials, employees, workmen, servants or any other person from the offices of Immigration Director, Fiji Police, Fiji Corrections Service, Airports Fiji Limited, Air Terminal Services, Civil Aviation Authority of Fiji, Korean Airlines, Fiji Airways, and Government not to remove Lee, Na and Yoon from Fiji. There are allegations of slavery against Grace Road. The founder, Reverend Joo, was arrested in Korea the previous week . She allegedly convinced 400 followers to move to Fiji because a “great famine” was imminent on the Korean Peninsula. Grace Road operates a range of businesses here. It has issued statements denying the allegations against its founder.